I am proud to announce that on September 21st, 2018, GRAMMY-nominated conductor James Jordan and The Same Stream released their first full-length CD on GIA Publications new Spiritum label. This moving CD contains wonderful new choral works by Paul Mealor, Dan Forrest, Peter Relph and myself, including the premiere recordings of my Songs of the Questioner, White Stones, The Dream I Knew and Salvator mundi. The CD is available on multiple platforms, including iTunes, Spotify and Amazon, as well as through the choir’s website at www.TheSameStreamChoir.com. Thomas LaVoy (b. 1990) is an award-winning composer of contemporary concert music, with particular emphasis on choral composition. In November, 2017 he received his PhD at the University of Aberdeen in Scotland, where he studied with the world-renowned Welsh composer Paul Mealor. Dr. LaVoy’s choral works have been widely commissioned and performed in countries such as the United States, the United Kingdom, Belgium, Germany, Hungary, Poland, New Zealand and Taiwan. Recent commissions have included substantial works for the BBC Singers, the Marquette Symphony Orchestra and the Laudamus Chamber Chorale. Dr. LaVoy’s recent research is primarily focused on the intersection between music and text, cross-cultural musical exchange, and the works of Indian poets Rabindranath Tagore and Sarojini Naidu; the capstone of his PhD was a large work titled Endless, a setting of Tagore’s Nobel Prize-winning collection of poetry, Gitanjali. Dr. LaVoy is also an active singer and resident composer with The Same Stream choir of Philadelphia, conducted by Dr. James Jordan. To contact Thomas, please send an email to thomasrosinlavoy@gmail.com. I have just launched a new page regarding my endeavors to compose historically-informed works of all kinds. 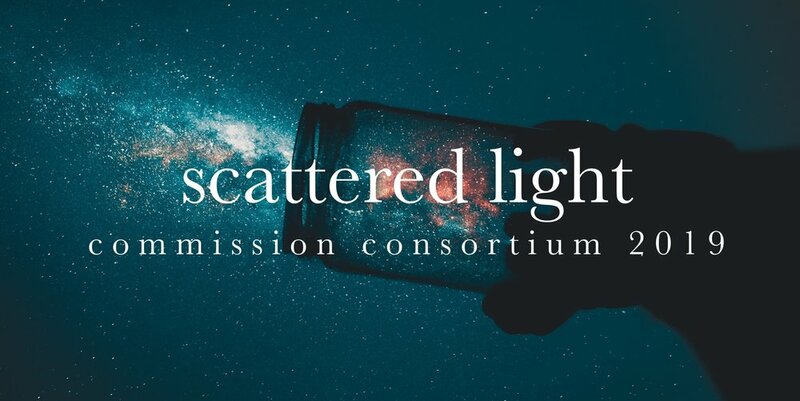 The current project is the Nancy Luce Commission Consortium, an effort to unite choirs around the world to bring to light the remarkable story of Nancy Luce of West Tisbury, Massachusetts. More information on the consortium, including how to participate, can be found at this address. When daylight came... - A work for solo baritone, commissioned by Niall Anderson and the Anderson Clan of Scotland and based on the Private John Anderson's prisoner of war diaries from World War I. A Child's Requiem - This major work for soprano solo, choir, children's chorus and orchestra was commissioned by the Marquette Symphony Orchestra to commemorate the 100th anniversary of the Italian Hall disaster. 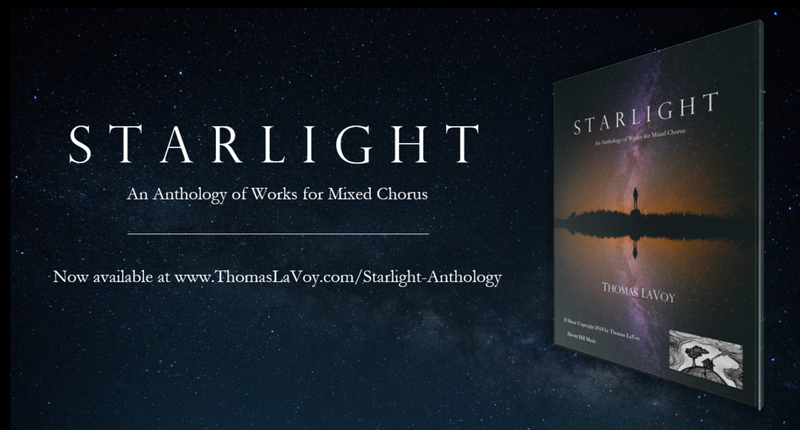 The choral works of Thomas LaVoy are available for purchase from GIA Publications, G. Schirmer and Hewitt Hill Music. Please visit individual work pages for more information. 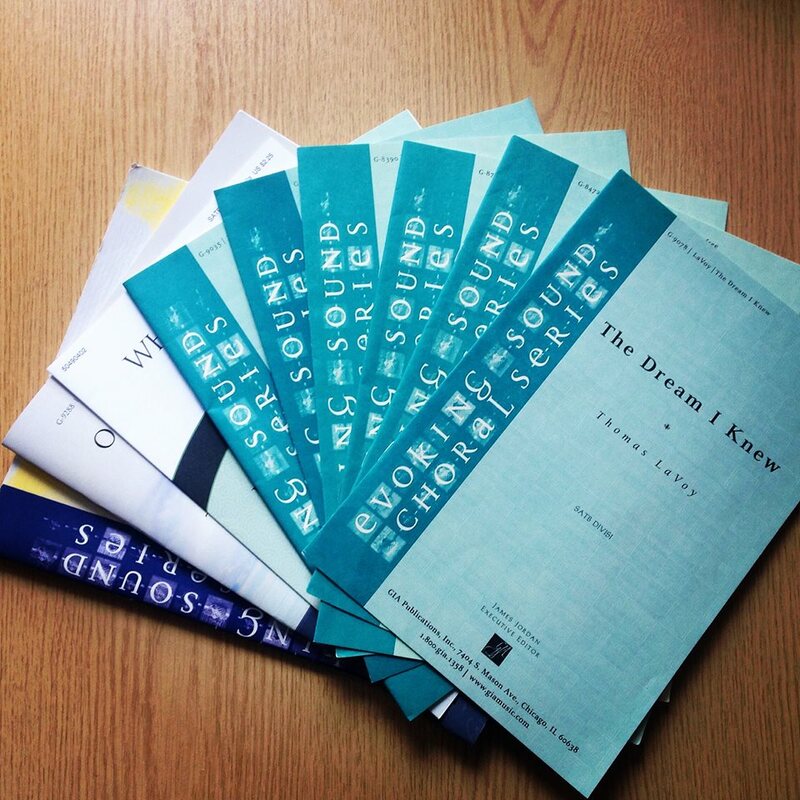 Thomas is currently accepting commissions for both choral and instrumental works of any length or instrumentation. For more information on the commissioning process, visit this page. Thomas is a founding member, professional choral singer and resident composer in The Same Stream Choir of Philadelphia, PA. The choir has also recorded a number of his works, which can be found here. Follow me on Twitter @ThomasLaVoy and Instagram @thomas_lavoy! Wonderful hike in to the Laughing Whitefish Falls yesterday with @sarah_rimkus. Also ice cream. So nice to finally get a properly warm day!! Laughing Whitefish Falls were absolutely roaring yesterday with the spring snow melt!! From my dear friends on Martha's Vineyard... Missing you all on this fine spring day!! No bites, but man was it beautiful out last night... My thanks to Brian Stevens and the choirs at Nazareth for premiering my new fisherman's prayer, "O Great River" yesterday afternoon in New York. Wish I could have been there, but this'll do!! It's that kind of day, eh Muffin? What a couple of weeks for us both... I love @sarah_rimkus very, very much... On to Boston for date night at @myersandchang!! !